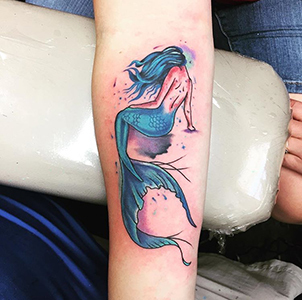 Reo’s Tattooing Inc, a tattoo and piercing parlor, is conveniently located just off Route 95 and Jefferson Davis Highway (Route 1) in Dumfries Virginia, and offers complete tattoo studio and body piercing shop services. 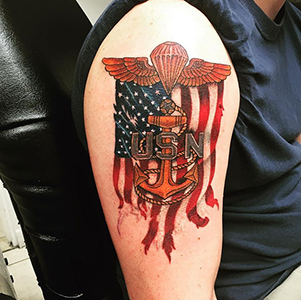 Reo’s Tattooing is easily accessible from all parts of Prince William County including Quantico, Triangle, Woodbridge, Dale City, Manassas, Nokesville, Haymarket and the surrounding communities of Northern Virginia. Reo’s Tattooing body art and piercing studio is a premier tattooing shop of Virginia specializing in fine line tattoo work, tattoo portraits, custom ink and tattoo cover ups, body piercing with a wide variety and spectrum of ready made tattoo designs and body piercing jewelry to choose from to meet your personal and individual style. Whether you are seeking a full body art tattoo, back tattoo, lower back tattoo, chest tattoo, arm tattoo, leg tattoo, ankle tattoo, neck tattoo, face tattoo, head tattoo, genital tattoo, pelvic area tattoo or other part of your body tattooed, Reo’s Tattooing will provide you with a variety of tattoo designs to choose from or let you design your own custom tattoo. 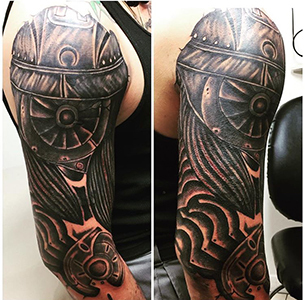 Reo’s Tattooing is known for our excellent, sterile and professional service. If you want a body piercing such as an ear piercing, tongue piercing, lip piercing, nose piercing or other part of your body pierced, call Reo’s Tattooing and Body Piercing for information, to make an appointment or if your prefer you may just drop in. We provide a variety of styles, shapes and sizes of body piercing jewelry and give you the same sterile, professional and excellent service in a peaceful and comfortable setting. 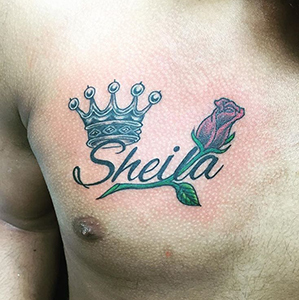 You will find our tattoo and body piercing studio 100 % Autoclave sterile, relaxed, comfortable, clean and professional so that you are provided with a pleasant and rewarding experience at a reasonable cost. 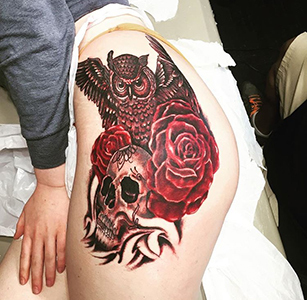 The tattoo artists and body piercing staff at Reo’s Tattooing are well known and respected Tattoo Artists who have many years of experience as professional tattooers and body piercers and pride themselves in unique Custom Designed Tattoos and piercings. 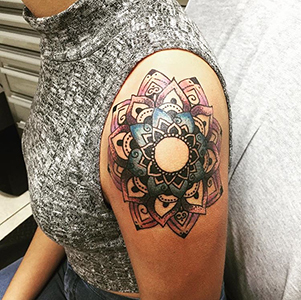 Our artists view body piercings and body tattoo art as works and expressions of body art that you can be proud to wear and comfortable to showcase in public. 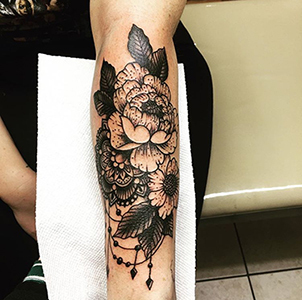 We have many satisfied and returning clients and continue to attract new customers that seek out the work of our tattoo artists and body piercers by traveling to our studio from Northern Virginia and Richmond. 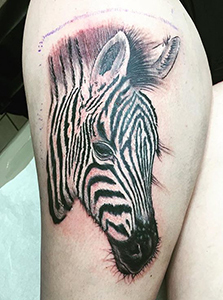 Our past and current clients make personal referrals which continue to bring new clients to our tattoo parlor and body piercing shop from Manassas, Woodbridge, Quanitco, Triangle, Dale City, Potomac Mills, Nokesville, Haymarket, Gainesville and other communities of Prince William County. We are a 100% Autoclave Sterile facility with comfortable surroundings including HDTV, refreshments, and a bright sunny, clean waiting area where you can view and choose the tattoo or body piercing jewelry from thousands of tattoo designs on our walls. We also offer catalogs and a variety of body piercing jewelry in our showcases. Reo’s Tattoos provides private sterile equipment and clean comfortable tattooing and piercing rooms for your privacy, anonymity and comfort with a friendly staff and music in the background. We offer late evening hours for your convenience and welcome walk-ins or appointments. 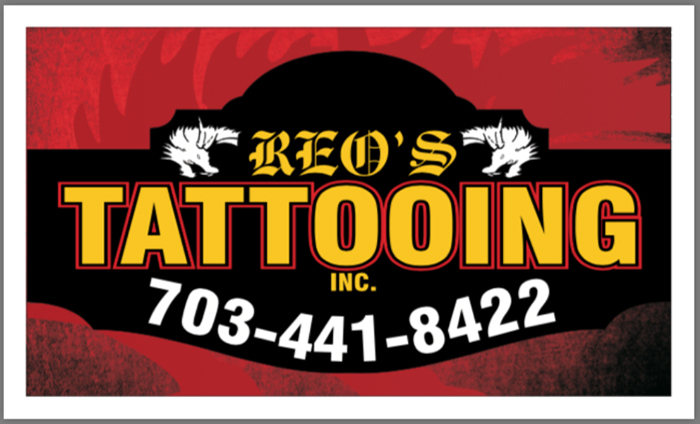 Reo’s Tattoos is the tattoo and body piercing shop of Prince William County, Virginia with clients as far away as Centerville, Nokesville, Gainesville, Manassas, Woodbridge, Dale City, Quantico Marine Base, Northern Virginia and Richmond areas.